VIZ Media has announced a partnership with Rooster Teeth, the company behind the popular animated series RWBY to produce manga and other publishing formats based on the series. 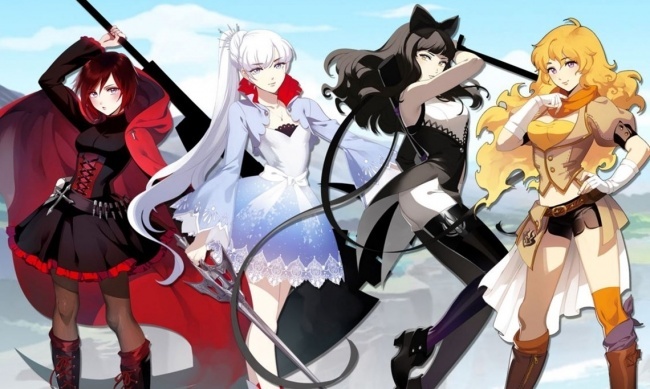 RWBY is an anime series that follows four different girls: Ruby, Weiss, Blake, and Yang, who become students at Beacon Academy. There they study to become Huntresses, by training to slay monsters. However, there are threats beyond monsters in their world, and if they want to survive till graduation they’ll have to work together – on the battlefield and in the classroom. The first release is scheduled for 2017. Austin, TX -based entertainment and media company Rooster Teeth created RWBY in 2013. RWBY is the first Western anime series to be distributed in Japan. There are currently three volumes in the series, with a fourth set to premiere in October.